You will be impressed by this very well maintained, quiet, move-in ready top floor end-unit. Private entrance, private view! This one-bedroom condo has everything that you are looking for: a granite counter-top, only tiled floor, high cathedral ceiling and Southern exposure. 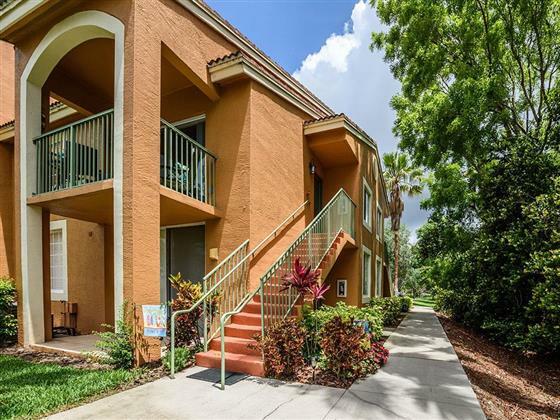 Located in the resort community of The Enclave at Naples this unit is great for multiple uses-whether full-time, part- time, or as an investment property. Come enjoy the resort style pool/spa, the fitness center, or play a game of tennis. Downtown 5th Ave and the beaches are under 15 minutes away. Why wait? Come down and make this your escape to paradise.